Here’s a quick weekend follow up to two of last week’s posts. 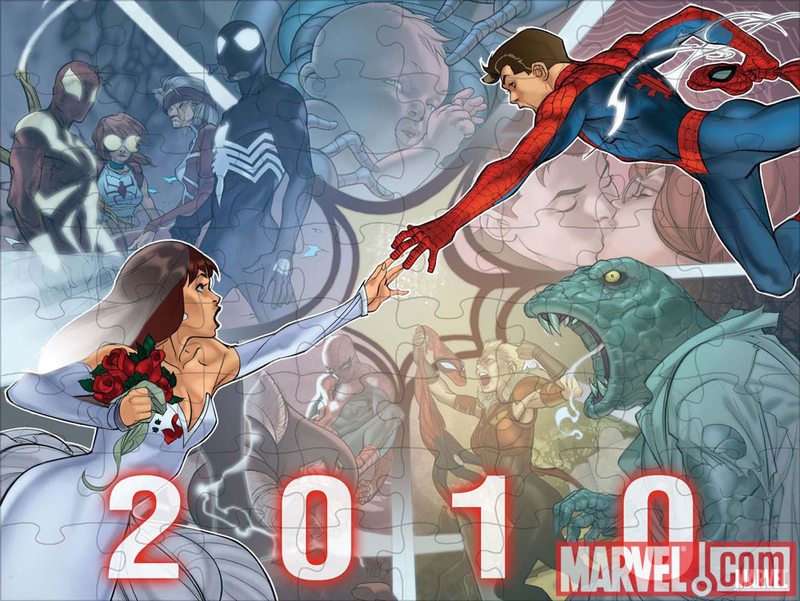 Just when you thought the puzzle was complete, Marvel filled in three more little pieces that could turn Spider-Man’s world upside down in 2010. Is that Peter and Mary Jane’s long missing baby? Would Marvel go back to this story after dropping it like a radioactive potato 13 years ago? Only time will tell, but while I’m incredibly excited for things to unfold I’m reserving judgement. Doctor Who – The End of Time has aired in its entirety in the U.S. and an international trailer for the next season is now available from the BBC for all to see. Some exciting things are planned for the new Doctor and as far as I’m concerned they can’t get here soon enough. Looking through the chatter regarding the trailer, Matt Smith already has some fans as well as detractors, but I’m willing to trust the show in the hands of new executive producer Steven Moffat, writer of some of my favorite episodes including The Girl in the Fireplace, Blink, and Forest of the Dead.